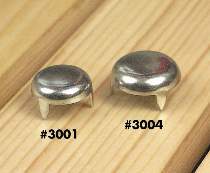 Three prong furniture glides. Nickel plated steel. Use on the bottom of furniture legs and as headlights for wood cars.